American literature in the nineteenth century is often divided into two asymmetrical halves, neatly separated by the Civil War. 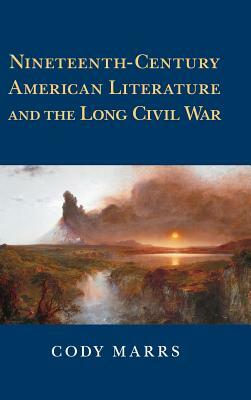 In Nineteenth-Century American Literature and the Long Civil War, Cody Marrs argues that the war is a far more elastic boundary for literary history than has frequently been assumed. Focusing on the later writings of Walt Whitman, Frederick Douglass, Herman Melville, and Emily Dickinson, this book shows how the war took imaginative shape across, and even beyond, the nineteenth century, inflecting literary forms and expressions for decades after 1865. These writers, Marrs demonstrates, are best understood not as antebellum or postbellum figures but as transbellum authors who cipher their later experiences through their wartime impressions and prewar ideals. This book is a bold, revisionary contribution to debates about temporality, periodization, and the shape of American literary history.